How to update my mobile number? Need to change your phone number in your Shakepay account? This will require access to your current mobile number. If you cannot access it, follow these steps instead. 3- On the next page you’ll be asked to enter your new number. 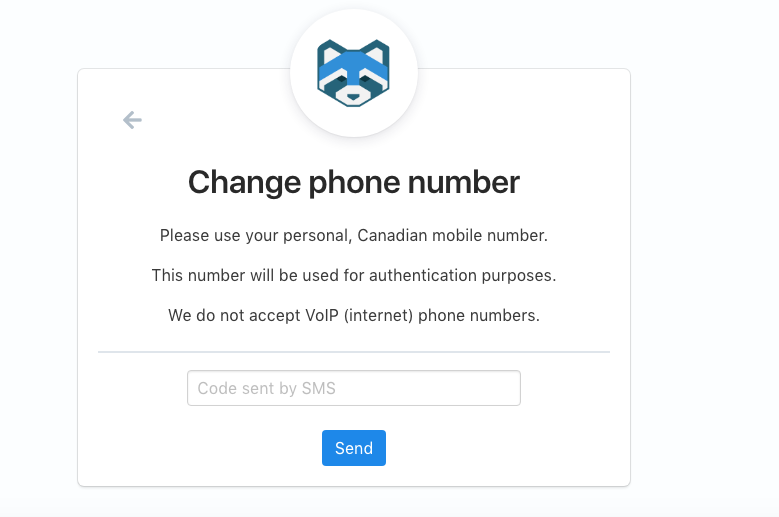 Make sure it's a Canadian mobile number not a VoIP number. You'll then be asked to verify your number with a code sent by SMS. Still have questions? Feel free to reach out to support.